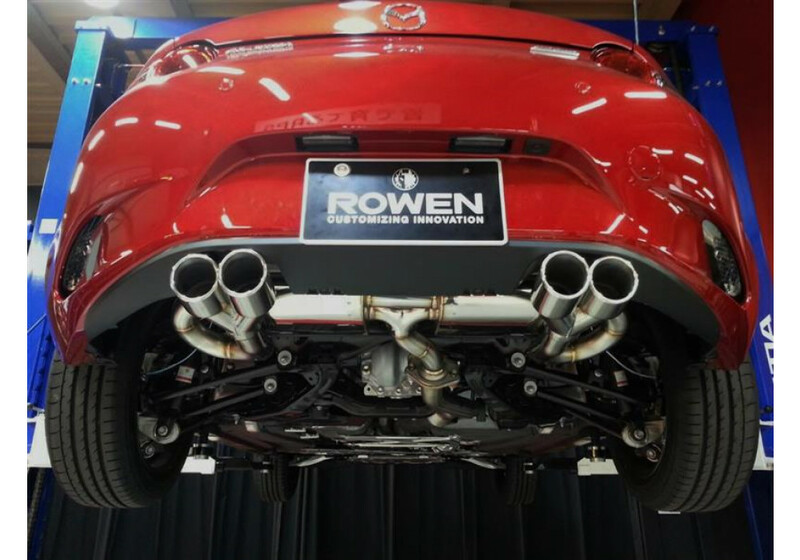 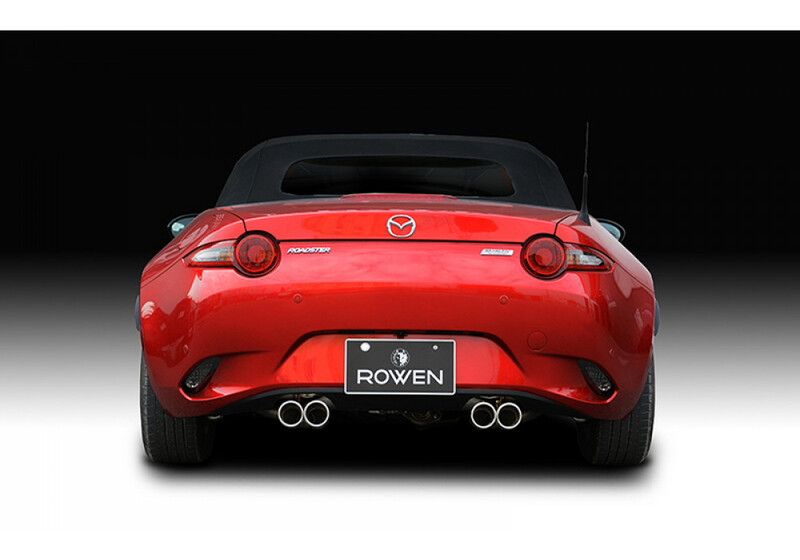 Beautiful quad pipe muffler system made by ROWEN in Japan for the 2016+ ND Miata. 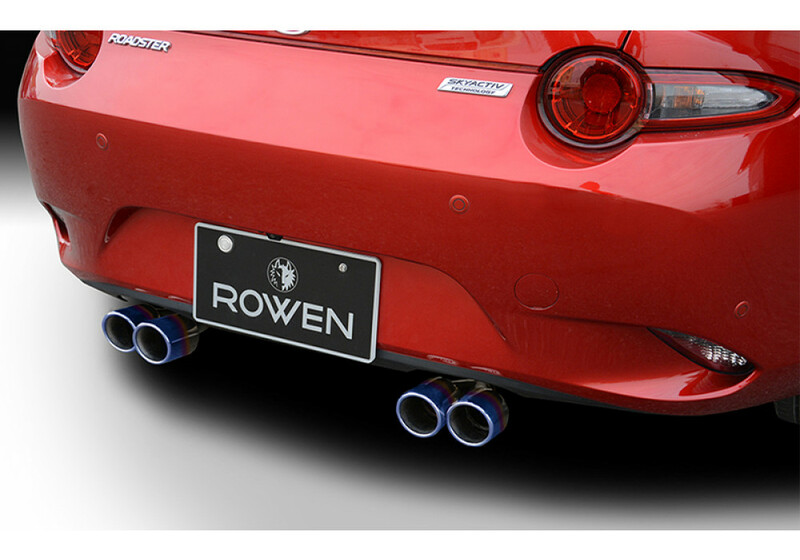 The kit has incredible details and can be used with the OEM rear bumper. Some very slight cutting into the OEM rear diffuser is required to fit the left exhaust side. 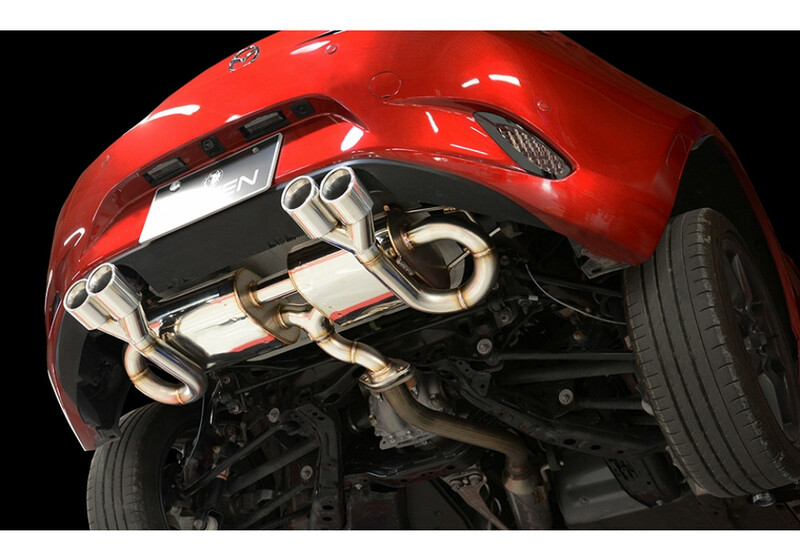 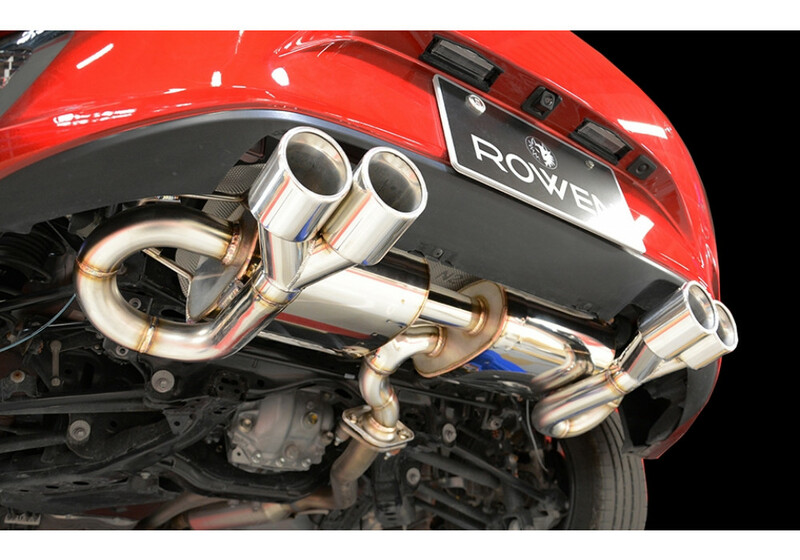 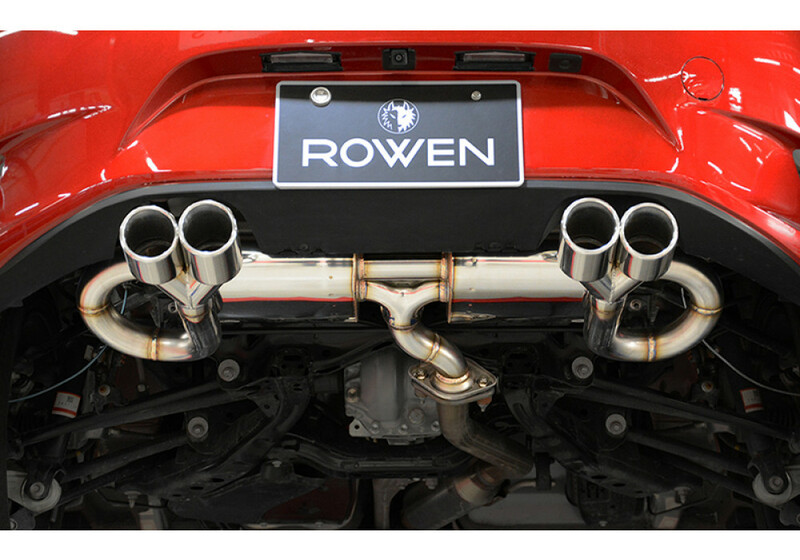 Rowen Quad Tip Exhaust System should be ordered at REV9 Autosport https://rev9autosport.com/rowen-quad-tip-exhaust-system.html as they provide the best service and speed we've seen so far! 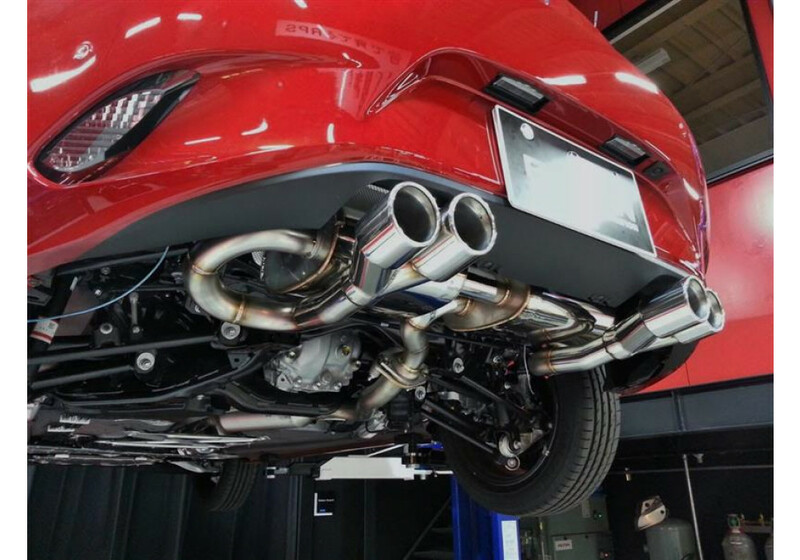 Is there a diffuser that can fit with this type of exhaust? 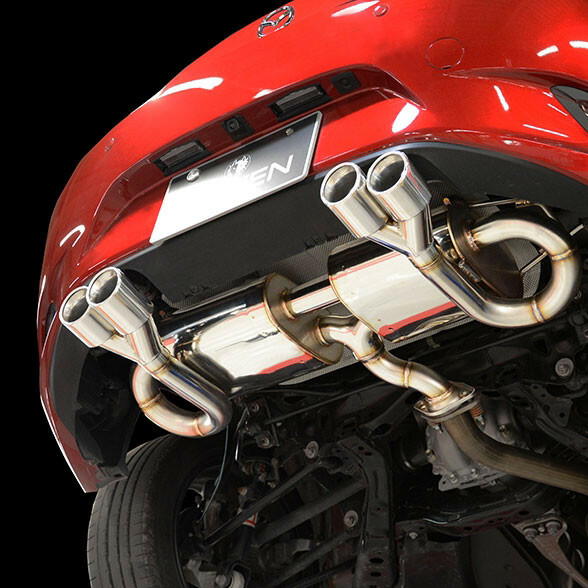 This exhaust will fit with Silk Blaze Rear Diffuser/Lip (about $475 + shipping) and maybe the DAMD Rear Diffuser (not released yet). 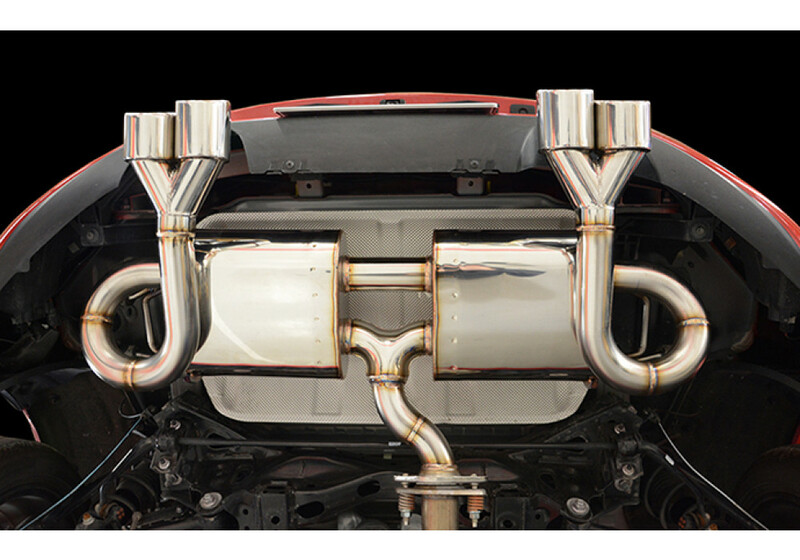 Please contact us by email if you'd like more information about the Silk Blaze product.